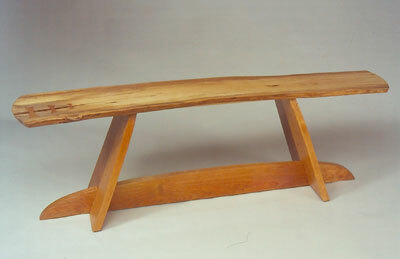 Keith Allen makes wood furniture, some of which he calls "fun-iture." 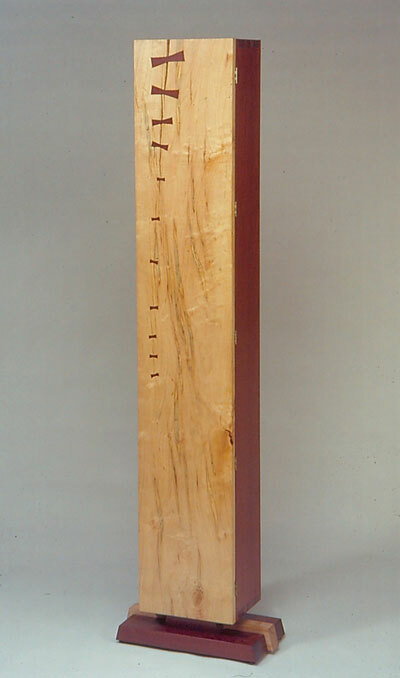 His "serious" work tends to feature both natural characteristics of material (natural edges, sometimes natural defects), often contrasted with "plain geometry." 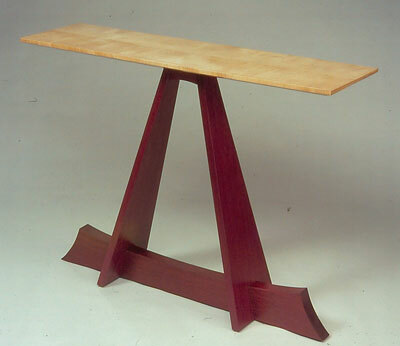 He uses mostly domestic hardwoods and traditional joinery such as mortise and tenon, dovetails, and frame and panel. 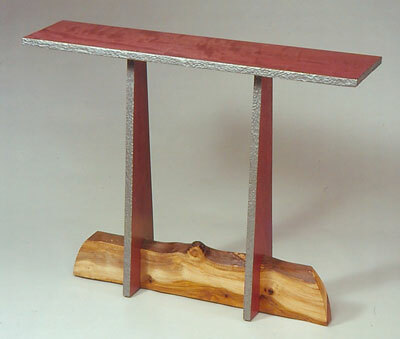 He employs inlay, occasional turning and carving, and hand applied finishes including varnish, danish oil, and wax.